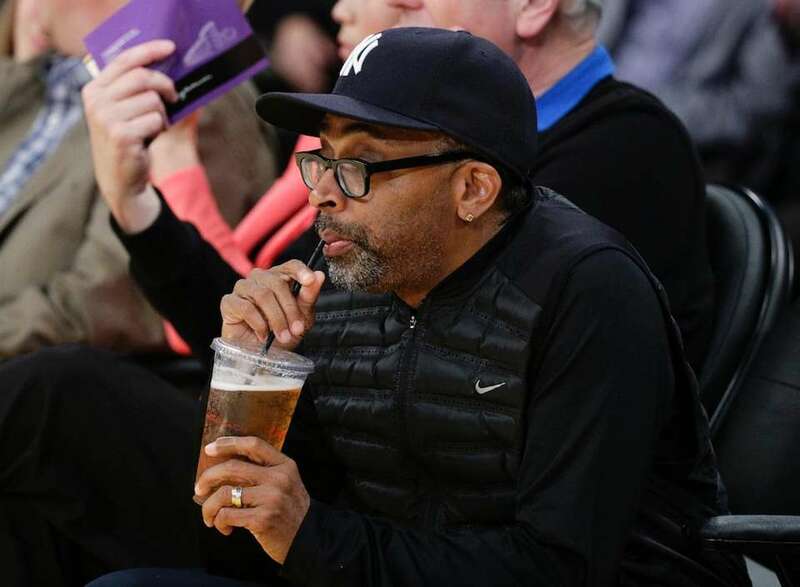 Hillary Clinton, Rihanna, Justin Bieber and Spike Lee have all been photographed kicking back and enjoying a beer, whether at a pub, a basketball game, or on vacation. 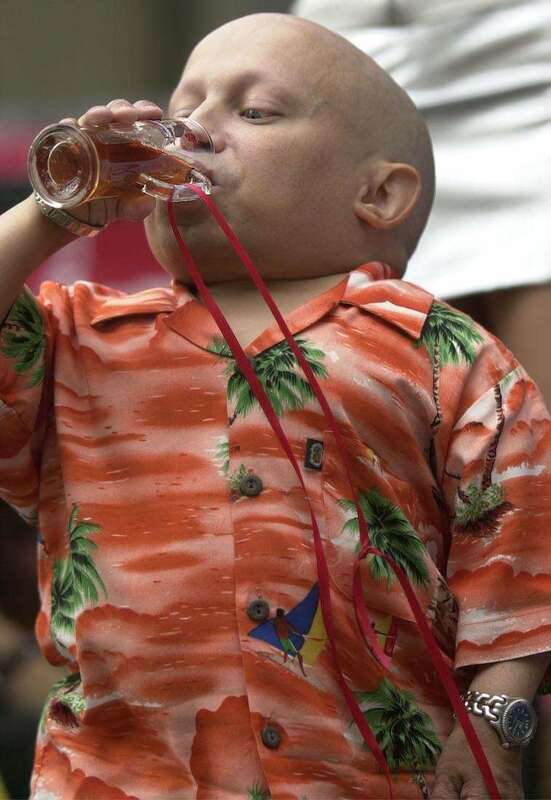 Actor Verne Troyer, aka Mini Me, drinks beer during a toast after leading the world's largest Chicken Dance and Kazoo band at Oktoberfest-Zinzinnati on Sept. 22, 2002, in Cincinnati, Ohio. Actress and singer Jennifer Ellison drinks Guinness at the opening of the Grand Central Bar on March 25, 2004, in Dublin, Ireland. Actor Ricky Gervais drinks a beer in the pressroom following the "The British Academy Television Awards" at the Grosvenor House Hotel on April 18, 2004 in London. Actress Sofia Vergara plays beer pong during her visit to "Late Night With Jimmy Fallon" at Rockefeller Center on Sept. 27, 2012, in Manhattan. 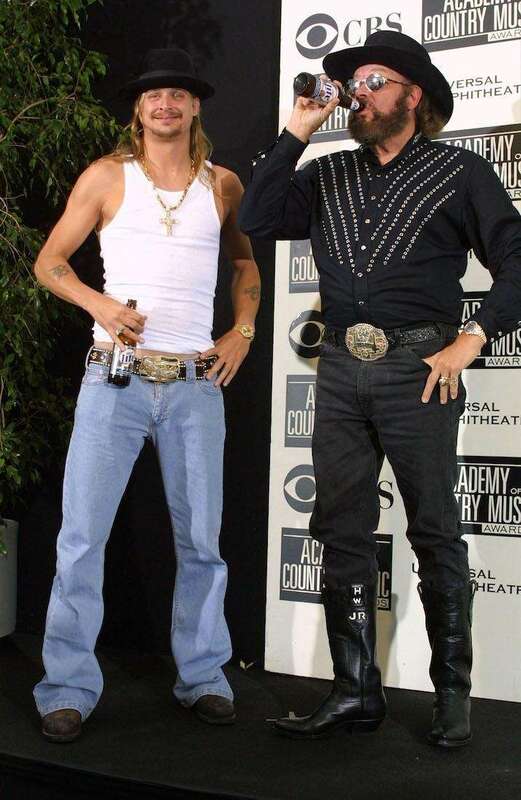 Musicians Kid Rock and Hank Williams Jr. pose backstage during the 37th annual Academy of Country Music Awards at the Universal Amphitheater in Los Angeles on May 22, 2002. 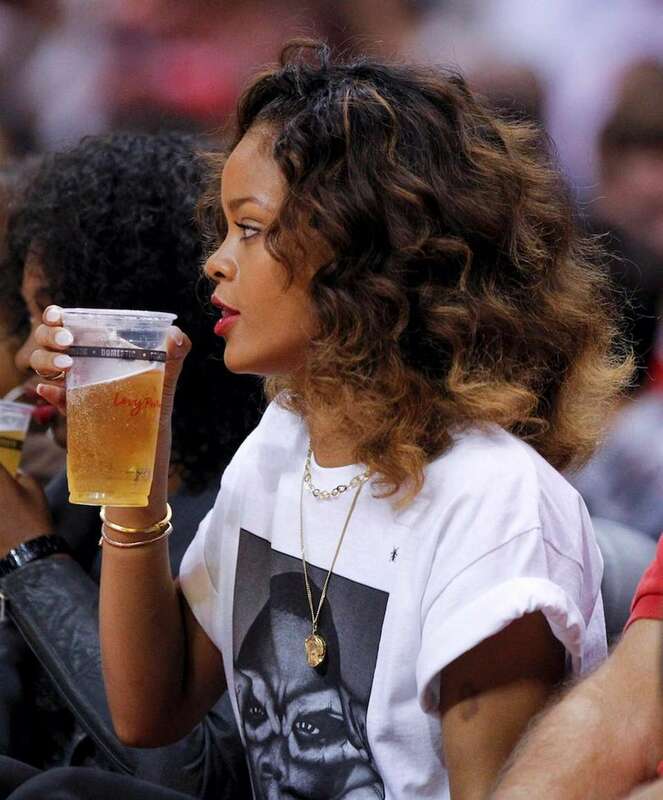 Singer Rihanna watches during the first half of an NBA basketball game between the Los Angeles Clippers and the Memphis Grizzlies in Los Angeles on Thursday, Jan. 26, 2012. 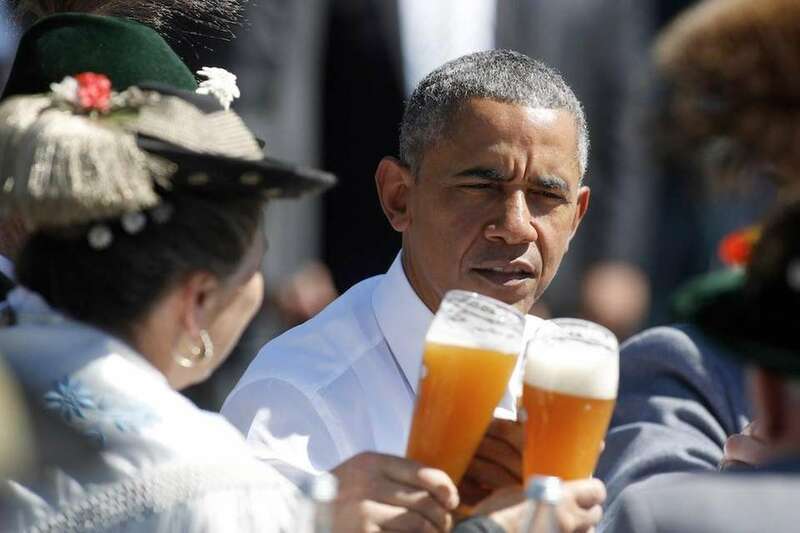 Barack Obama enjoys a beer in the morning of the summit of G7 nations in Kruen, Germany on June 7, 2015. 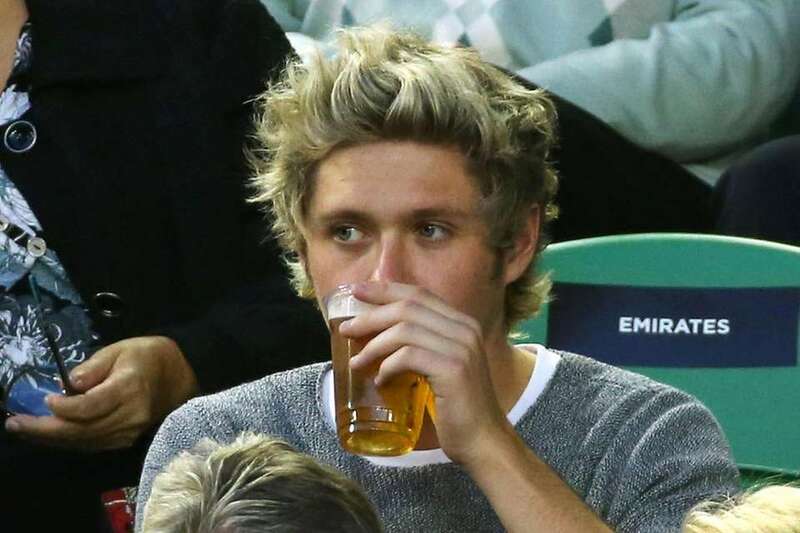 Niall Horan from One Direction watches the action at Rod Laver Arena during day 12 of the 2015 Australian Open at Melbourne Park in Melbourne, Australia, on Jan. 30, 2015. Singer Pink attends the aftershow party for the launch of her new album "Try This" at the Sanderson Hotel in London on Nov. 4, 2003. Justin Bieber poses with a friend while on vacation in South Africa in May 2013. 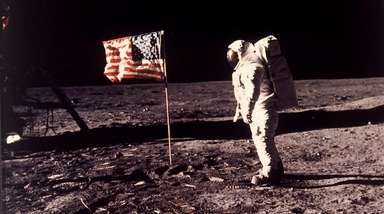 "Beers in the jungle" he captioned the image. 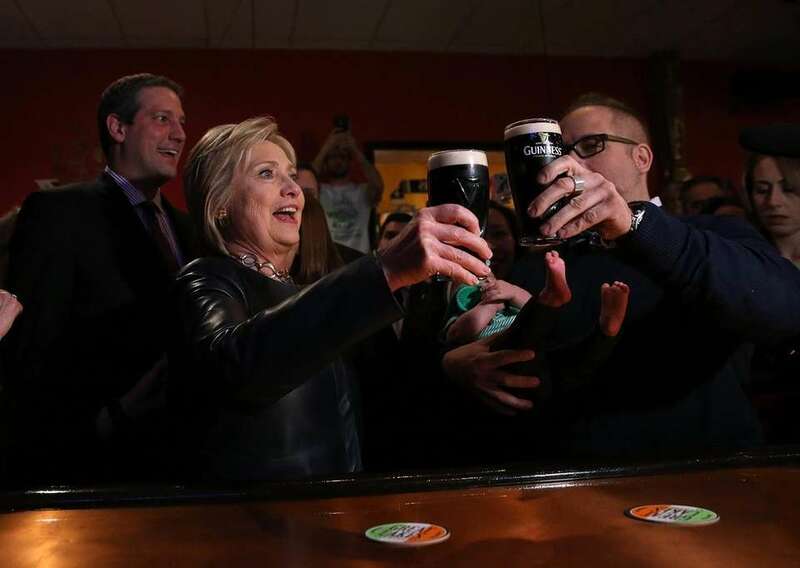 Democratic presidential candidate and former Secretary of State Hillary Clinton toasts a patron as she has a pint of Guinness beer at O'Donold's Irish Pub and Grill in Youngstown, Ohio, on March 12, 2016. 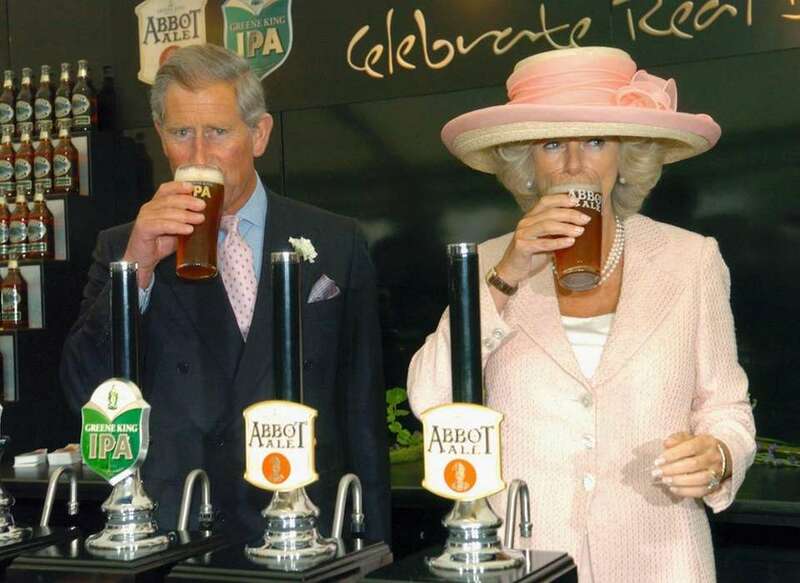 Prince Charles, Prince of Wales, and Camilla, Duchess of Cornwall, drink a pint of bitter they pulled during a visit to Bury St. Edmunds in Bury St. Edmunds, England, on July 22, 2005. Actress Reese Witherspoon at a Brooks & Dunn performance during day 2 of Stagecoach: California's Country Music Festival at The Empire Polo Club in Indio, Calif., on April 25, 2010. 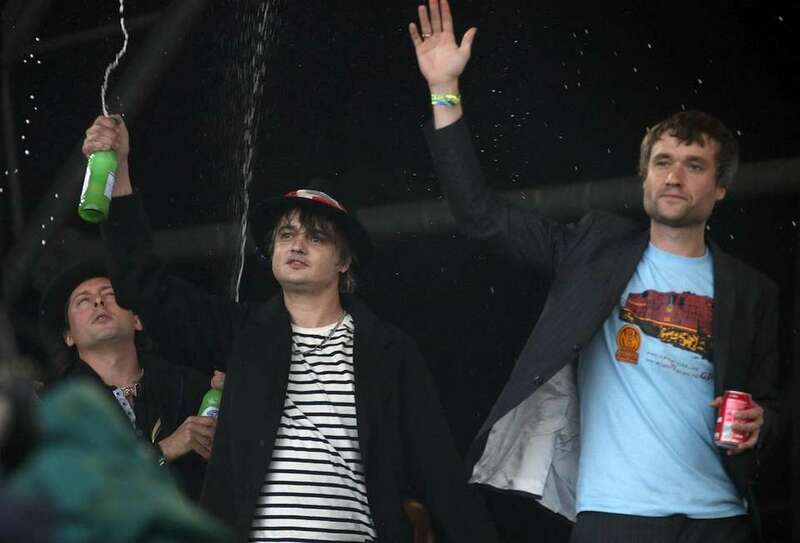 Carl Barat, Pete Doherty and John Cory Hassall of The Libertines wave to fans as they arrive at the Pyramid stage during the Glastonbury Music Festival at Worthy Farm, Glastonbury, England, on Friday, June 26, 2015. 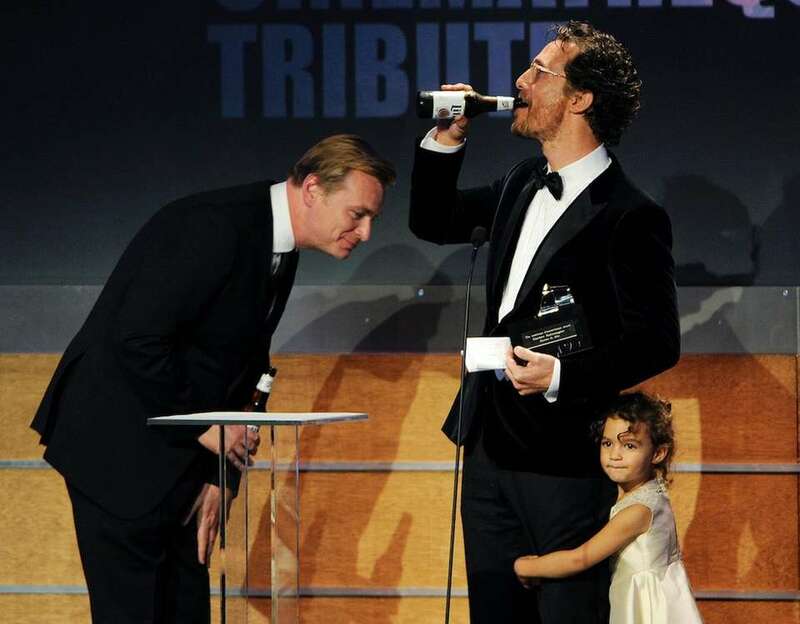 Honoree Matthew McConaughey enjoys a beer given to him by host Jimmy Kimmel as presenter Christopher Nolan looks over at McConaughey's daughter Vida during the American Cinematheque Award Presentation at the Beverly Hilton in Beverly Hills, Calif., on Tuesday, Oct. 21, 2014. 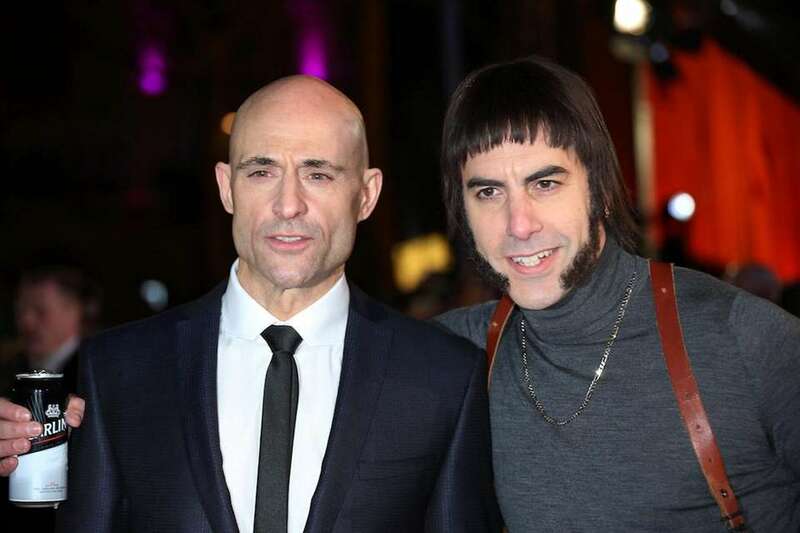 Actors Mark Strong and Sacha Baron Cohen, dressed as character Norman "Nobby" Grimsby, arrive at the premiere of the film "The Brothers Grimsby" in London on Monday, Feb. 22, 2016. 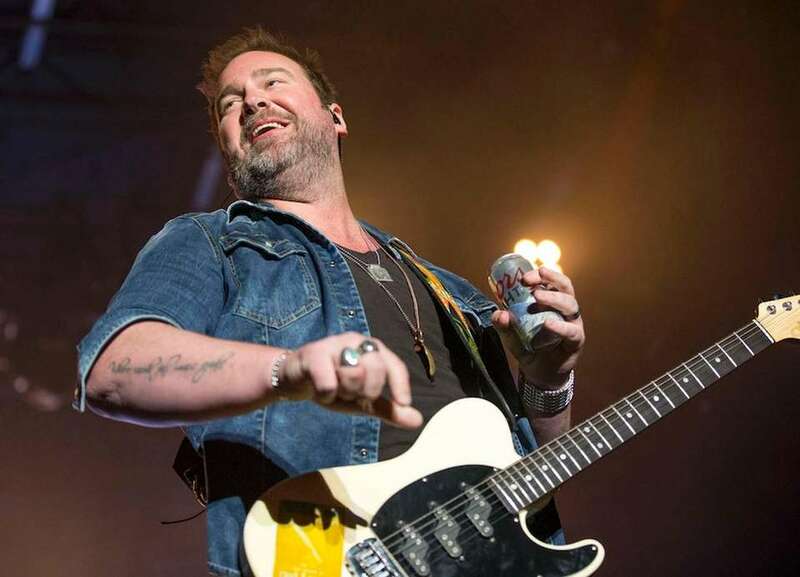 Lee Brice performs at the 4th annual ACM Party for a Cause Festival at the Las Vegas Festival Grounds in Las Vegas on Saturday, April 2, 2016. 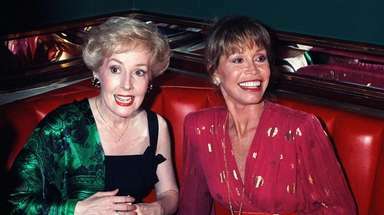 51 photos of beer on LI through the yearsCheck out some classic photos of beer on Long Island through the years as we head into the season of St. Patrick's Day celebrations. 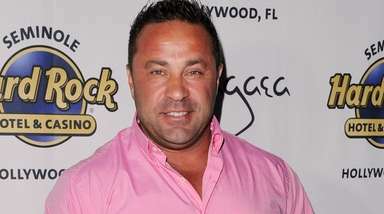 Celebs' stints in rehabThese celebrities, citing different reasons including "personal health" and different addictions, have disclosed spending time in rehabilitation centers.